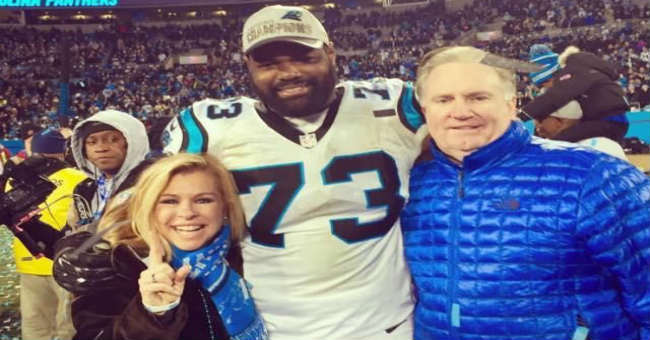 Michael Oher stole the hearts of America when his real-life story hit the big screen in the The Blindside, and it’s gaining even more attention as he heads into Super Bowl 50 tonight. Tuohy also says Oher’s story is a lesson not to “count people out”—as recently as last year, a toe injury sidelined Oher and he was released by the Tennessee Titans. Then, he caught a break and was signed to the Carolina Panthers—a break he rode with a lot of hard work ALL the way to Super Bowl 50! No matter how the game turns out tonight, it’s clear Oher is a winner, and we know it has a LOT to do with a devoted mom who believes in him!